The U.S. Foreign Account Tax Compliance Act seeks to co-opt foreign banks as long-arm enforcement agencies of the IRS. This thoughtful article (found here) from an academic that previously appeared in the Wall Street Journal, is worth re-thinking in light of the OECD and G20 Action Plan – Base Erosion Plan. This is put both in the Media section and elevated to a specific post – as it is a thoughtful article. 5. The U.S. is unusual in that it taxes its U.S. citizens wherever they are in the world. This entry was posted in Immigration Law Considerations, Penalties, Tax Compliance. Will the IRS be assisting the Justice Department to prosecute U.S. citizens who have lived abroad most (if not all) of their lives? The on-going focus of of the government, including the purported “Billions in Hidden Offshore Accounts” by the Permanent Subcommittee on Investigations, begs the questions, where are these billions of assets by U.S. taxpayers? 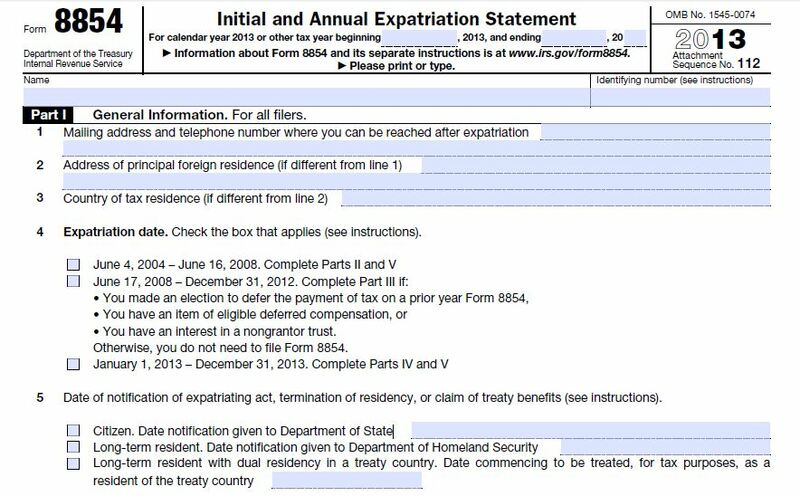 Will this be the premiss used by the IRS and Justice Department to try to prosecute U.S. citizens residing overseas? Law abiding U.S. citizens who have spent most (if not all) of their lives overseas are put in an untenable position vis–à–vis the U.S. federal government regarding U.S. tax and tax filing obligations. The IRS estimated that the entire tax gap for Tax Year 2001 was $345 billion. However, the IRS has not developed an estimate for the international tax gap. Non-IRS estimates of the international tax gap range from $40 billion to $123 billion. While there might be overlap between the IRS tax gap estimate and the international tax gap, it is doubtful that the $345 billion estimate includes the entire international tax gap. The primary reason for this conclusion is that identifying hidden income within international activity is very difficult and time–consuming. Furthermore, the IRS did not measure for the international tax gap component in the Individual National Research Project (NRP) estimate for the Tax Year 2001 tax gap. Therefore, it is unlikely that hidden offshore income is comprehensively included in the IRS tax gap estimates. In fact, the IRS’s Research, Analysis and Statistics (RAS) organization reasoned that because of cost, staffing, and technical limitations, an NRP type of direct measurement is unfeasible. However, in an attempt to learn more, the IRS has other initiatives underway. Should the IRS modify its offshore voluntary disclosure program for U.S. citizens residing overseas? IRS is reconsidering the effectiveness of its offshore voluntary disclosure program. Should it be modified? U.S. citizens who have lived most all of their lives overseas should not be subject to the same scrutiny and inflexibility that currently exists for U.S. taxpayers residing in the U.S. Important differences exist, mostly because of the lack of U.S. citizens residing overseas to understand the complex U.S. tax law system applicable to them; in addition to the country’s tax laws and requirements in their country of residence. The de-facto U.S. income tax residency regime is a residence based regime for several reasons. First, the National Taxpayer Advocate estimates there are between 5-7 million U.S. citizens residing overseas. Second, only a small portion of these taxpayers apparently even file U.S. income tax returns. The IRS taxpayer statistics office showed that only 334,851 U.S. taxpayers filed a foreign earned income exclusions (for the year 2006, which is the latest year available from the IRS office of tax statistics). How many of these taxpayers are not even U.S. citizens? The details of U.S. tax returns filed with foreign earned income exclusions can be read here.